Tracing Depth is the most important parameter for Presto Engine, due to the fact that it plays a significant role in the overall look of the scene and of course, render times. The default value (5) is perfect for scenes with low complexity. Diffuse Depth is available only for Presto AO and controls the amount of GI Bounces inside a scene. The default value is 0, meaning that there are no Secondary Bounces for the lighting. It also means that only Direct Lighting is being used for rendering, along with Ambient Occlusion Illumination (when enabled). Extended Tracing was introduced in version 1.4 to solve the need of increasing Tracing Depth for specific parts of the scene (e.g. Transparent Materials, Tree Leaves, etc) without the need to increase the overall Tracing Depth that would result in higher render times. Tracing Depth in Presto MC controls Reflections, Refractions and SSS depth along with the number of GI Bounces. Tracing Depth in Presto AO has all of the above, not including SSS and GI Bounces. SSS is not supported by Presto AO. 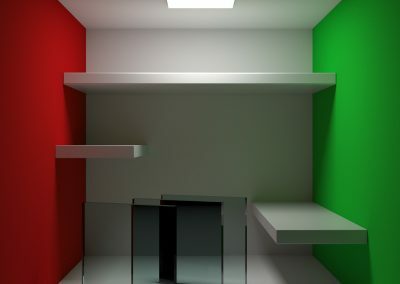 GI Bounces can be controlled by changing the values of the Diffuse Depth parameter. Having GI Bounces as an extra parameter along with the Extended Tracing is what makes Presto AO a very fast engine. 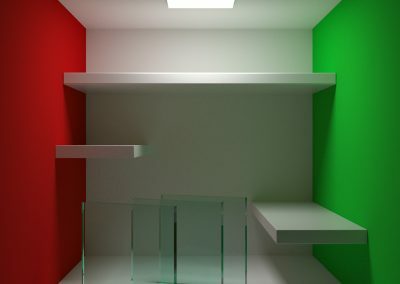 In the following example, you can see the difference in render time. 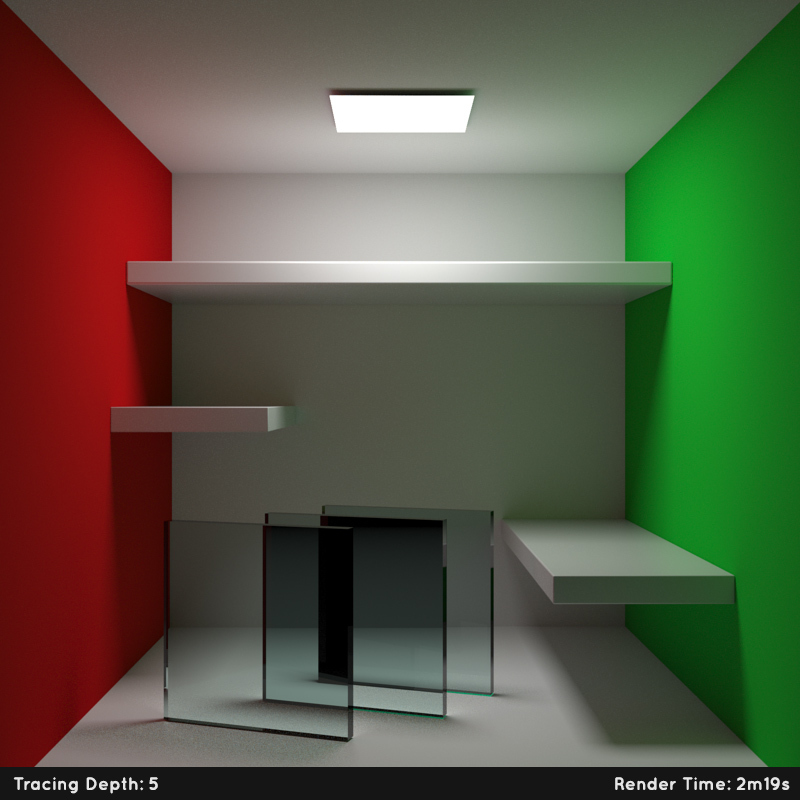 Image 01: Uses a TD(5) which gives a nice illumination in the scene but is not enough to remove the black areas from the transparent objects. Image 02: We increased TD(25) to give more depth to transparent objects, but since it also increased GI Bounces, the render time has increased considerably (5m42sec).